Grand Theft Auto 5 is a major cash cow for Take-Two and with 85 million units sell-in, that’s rather obvious. In its second quarter report for the fiscal year ending March 31, 2018, Take-Two announced GTA 5 has sold over 85 million units to retail since it launched four years ago in 2013. Take-Two uses the term sell-in when referring to shipped units. The 85 million shipped figure for GTA 5 spans across console and PC and is up by 5 million units since the firm reported 80 million units shipped in its Q4 report back in May. According to the company, GTA 5 is now the all-time, best-selling video game in US both in revenues and units, based on combined digital and physical sales across PC, console and portable. NBA 2K18 has shipped 6 million units since release, which is up 20% compared to NBA 2K17. Current and daily user are also up 30% year-over-year (yoy), and digital content spend on the title is up 57% comparatively. 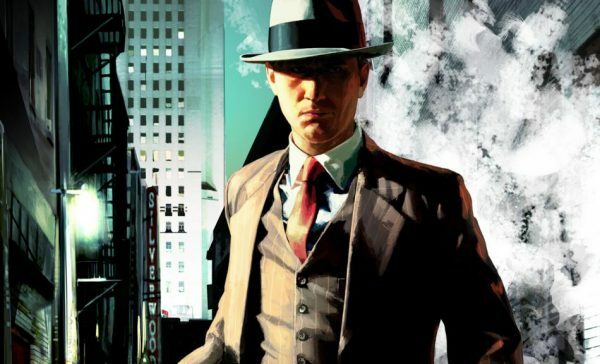 In a call to investors this evening, the company noted the upcoming HD release of LA Noire on PS4, Xbox One and Switch, Since its release in 2011, the game has sole over 7.5 million units. It will release for the aforementioned consoles next week, on November 14. Take-Two CEO Strauss Zelnick once again reiterated on the call the 2K Games will release “a highly anticipated new title from one of its biggest franchises,” during fiscal year 2019. As with the Q1 call in August, Zelnick wouldn’t elaborate whether it was another entry in the BioShock or Borderlands franchise like many seem to think. Consumer spending for Take-Two was up considerably year-over-year (yoy) thanks in part to GTA Online and GTA 5. Net revenue for virtual currency, add-on content and microtransactions was $443.6 million, compared to $420.2 million yoy. Other contributors to net revenue in fiscal second quarter 2018 were NBA 2K17, WWE SuperCard, WWE 2K17, and XCOM 2. Digitally-delivered net revenue grew 31% to $302.9 million, compared to $230.8 million yoy. Digital accounted for 68% of total net revenue, thanks to the aforementioned titles. During Q2 2018, total net sales grew 20% to $577 million, up from $479.4 million yoy. Net sales from from recurrent consumer spending grew 84% yoy and accounted for 42% of total net sales. Digitally-delivered bet sales grew 52% to $355.7 million, as compared to $234.2 million in last year’s fiscal second quarter, and accounted for 62% of total net sales. Catalog sales accounted for $310.5 million of net sales led by GTA, NBA 2K, Dragon City and Monster Legends, and XCOM 2. In short, net revenue grew 6% to $443.6 million and net sales grew 20% to $577 million.